I can't think of many folks who thought that the key topic at the Super Bowl Media Day on Tuesday afternoon would be deer-antler velvet extract spray but alas, that was the hot topic today after a report by Sports Illustrated reported that Ray Lewis was the most notable client of a company known as Sports with Alternatives to Steroids, or S.W.A.T.S., after he tore his triceps in October and that he used the deer-antler spray, which contained a substance known as IGF-1, which is outlawed by the NFL. This is not the first time that the deer-antler spray has been mentioned in regards to being used by an NFL player. Former Saints fullback Heath Evans admitted that he used the spray over a year and a half ago. Plus, more interestingly, this is not the first time that Lewis has been connected to S.W.A.T.S. and the deer-antler spray as there was a report from Yahoo's Post Game that Hue Jackson, a former Ravens assistant and the then-coach of the Raiders, had been promoting the company and that the company had supplied such products to Jackson who in turned gave them to players, one of whom was Lewis. For his part, Lewis refused to comment on the matter today in New Orleans, saying "Two years ago, there was the same report. I wouldn't give that report or him any of my press. He's not worthy of that." 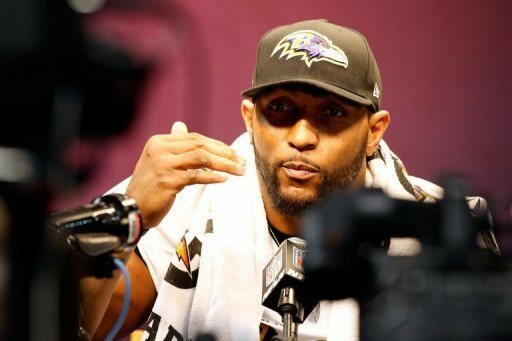 Both his coach, John Harbaugh, as well as general manager Ozzie Newsome defended Lewis in interviews, noting that Lewis has passed every substance test in his career. That is a strong argument, although we all know that there are ways for athletes to get around those pesky tests, I can think of a certain cyclist for starters. Now what does this all mean? Well after Lewis's quick recovery from his triceps injury, it does make sense that he would take something in order to recover faster. However, with not much more than this report, there is a significant array of doubt on either side. If anything, Lewis's resume will not be tainted significantly enough to damage his reputation but rather, the rosy picture that the media loves to paint of him will no longer be so rosy. And if Lewis wants to take a career in the media seriously, he is not going to be able to be so tight-lipped when faced with tough questions.